In October 2017 the Carmo Wood’s industrial complex at Oliveira de Frades, Portugal was devastated by a fire. Less than a year later, and with an investment of nearly 20 million euros the new facilities reopened on September 21. The occasion was celebrated with an official opening by the Prime Minister of Portugal, António Costa and over 800 invited guests, including the Prime Minister, were then treated to a grand tour of the new offices, factory and treatment facilities. 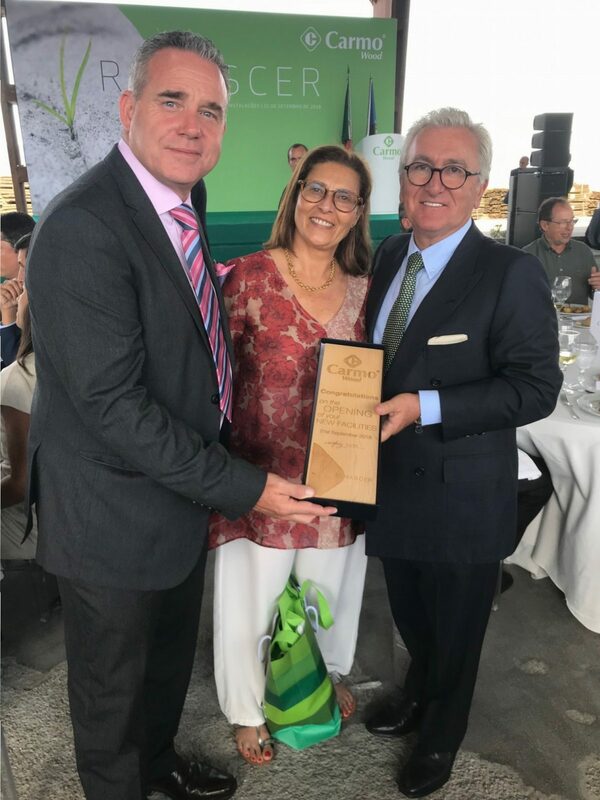 Tony Kelly and Peter Filius congratulated Mr and Mrs Carmo and presented them with an award from Lonza, thanking them for the continued business partnership.